The Brattle Theatre’s Dead of Winter: Cinema of the Occult series opens with “The Witch” on Jan. 27. The Brattle Theatre lifts the curtain on the creepy with Dead of Winter: Cinema of the Occult, a series of new and classic films that focus on witchcraft and magic. It starts Jan. 27 with a presentation at 7 p.m. by three writers — Peter Bebergal, Pam Grossman, and Janaka Stucky — who curated the series and who will introduce screenings. 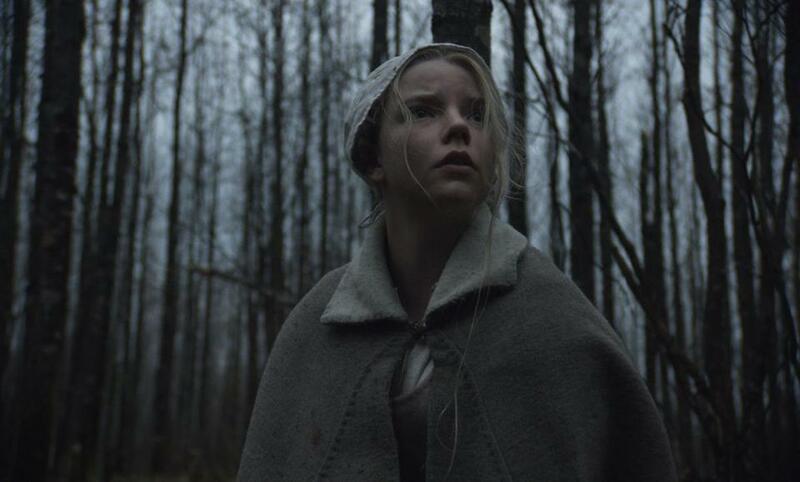 The discussion is followed at 8:30 p.m. by “The Witch.” This New England-set fable about a colonial family ostracized by their community and who encounter unspeakable powers lurking in the woods earned director Robert Eggers best new filmmaker honors from the Boston Society of Film Critics for 2016. Also showing on Jan. 27 at 10:30 p.m. in 35mm is Clive Barker’s 1995 film, “Lord of Illusions,” starring Scott Bakula as a paranormal private eye tracking down a sinister supernatural cult leader who is terrorizing a famous stage magician and his wife. The series continues with director Anna Biller’s stylish 2016 hit, “The Love Witch” (screens Jan 28, 8:30 p.m.). A double feature beginning at 7 p.m. on Jan. 29 pairs the 1958 occult comedy “Bell, Book And Candle,” starring Jimmy Stewart, Kim Novak, and Jack Lemmon, with George Romero’s 1972 rarity “Season of the Witch” (also known as “Hungry Wives”) about a bored suburban housewife who joins a secret coven of witches. The Jacques Tourneur gothic thriller “Night of the Demon” (1957), with Dana Andrews as an American psychologist in England who finds himself the target of a powerful curse, screens Jan. 31 at 7:30 p.m. on a bill with another rarely shown thriller, “Burn, Witch, Burn” (1962) director Sidney Hayers’s adaptation of Fritz Leiber’s cult novel “Conjure Wife.” Audiences won’t want to miss big-screen showings of legendary provocateur Ken Russell’s still-outrageous 1971 classic, “The Devils” (Feb. 1 at 9:30 p.m.), or the similarly sacrilegious imagery of Alejandro Jodorowsky’s “The Holy Mountain” (1973) on Feb. 2 at 7 p.m. All four of those films will screen in 35mm. For a complete schedule or more information, go to www.brattlefilm.org. Emerson College’s Bright Lights Film Series kicks off its spring season on Jan. 26 with Denis Villeneuve’s 2016 hit “Arrival” starring Amy Adams as an expert linguist investigating the landings of mysterious spacecraft around the world, triggering threats of global war. Producer Aaron Ryder, a 1994 Emerson graduate, will engage in a post-screening discussion via Skype. The series continues with the 2016 documentary “Newtown” on Jan. 31, followed by a discussion with director Kim A. Snyder. The film, shot over nearly three years, weaves an intimate story of community resilience as it traces the aftermath of the deadliest mass shooting of schoolchildren in American history on Dec. 14, 2012. Screenings, which are free and open to the public, begin at 7 p.m. and take place in the Bright Family Screening Room at the Paramount Center. For more information go to www.emerson.edu. Science is the topic when the Coolidge Corner Theatre screens “A Fish Called Wanda” (1988) Jan. 30 as part of its Science on Screen series. Harvard biologist Catherine Dulac will speak before the screening about the science of attraction. The Charles Crichton-directed farce stars Monty Python comics John Cleese and Michael Palin as British gangsters seeking to pull off a diamond heist. They team with lovers and partners-in-crime Wanda (Jamie Lee Curtis) and Otto (Kevin Kline, who won a best supporting actor Oscar for his performance). Complications ensue. For more information go to www.coolidge.org.